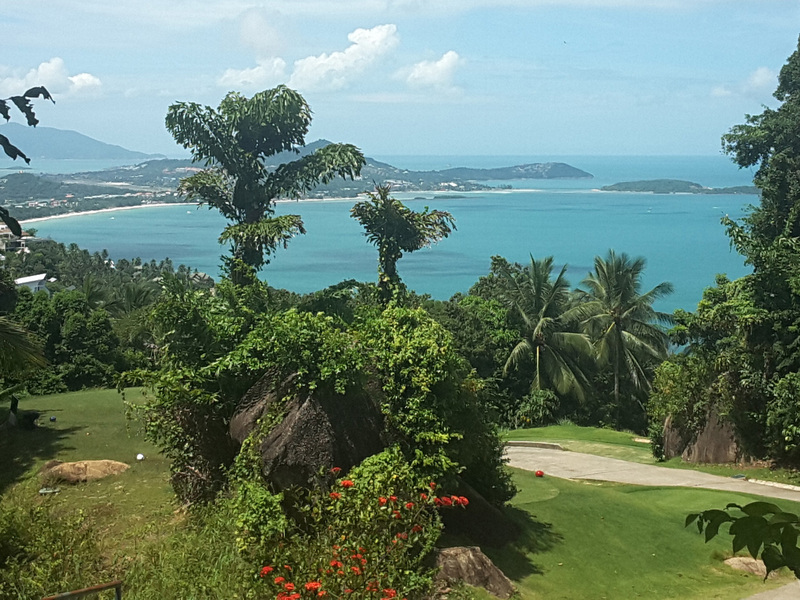 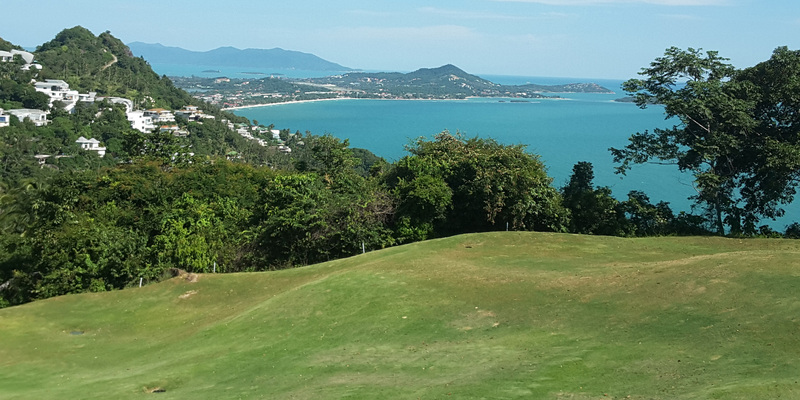 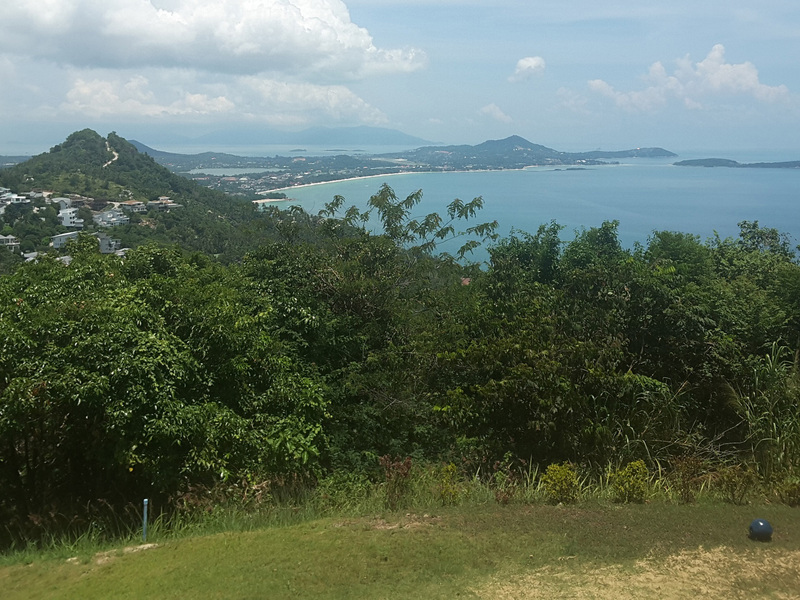 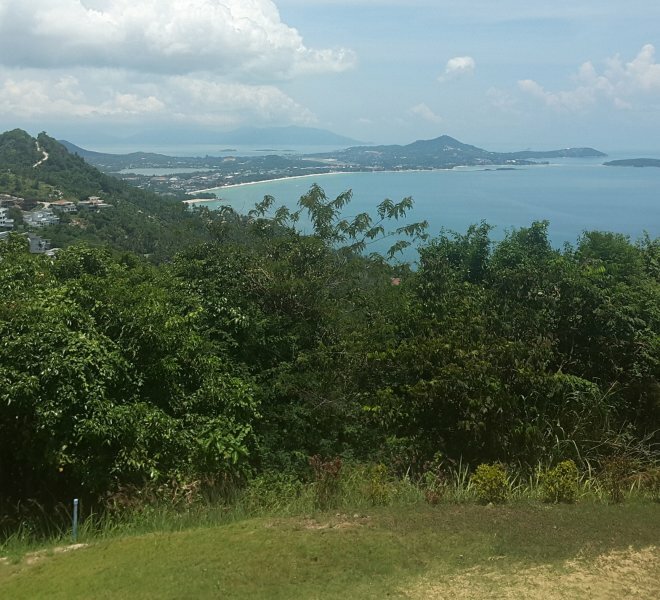 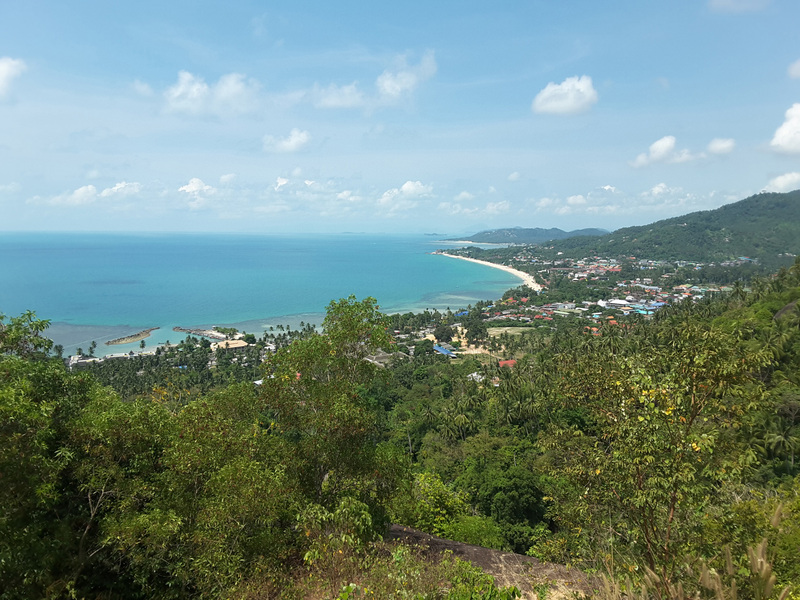 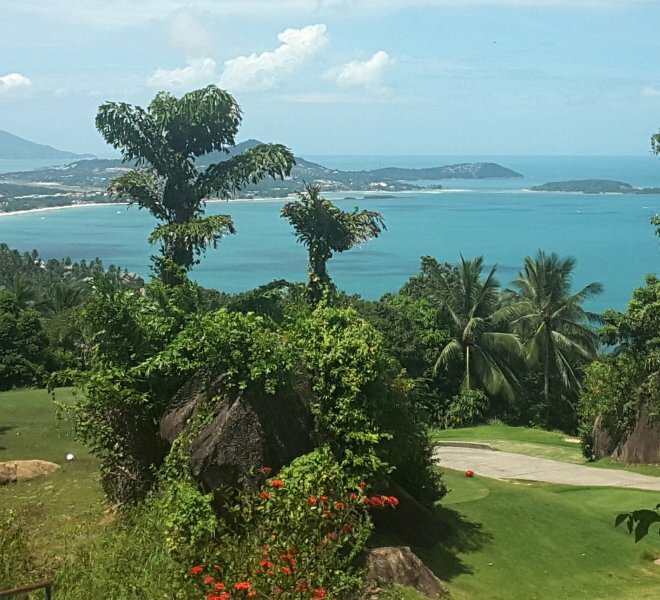 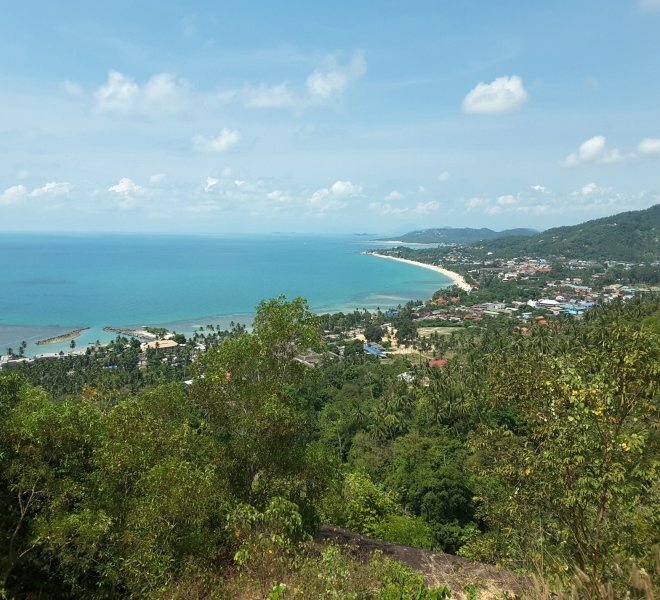 Royal Samui nine hole golf course has seaviews on every hole, both main beach towns on the west and north coasts of Koh Samui are visible, you can see Koh Phanghan island, also as far as the Thai mainland. 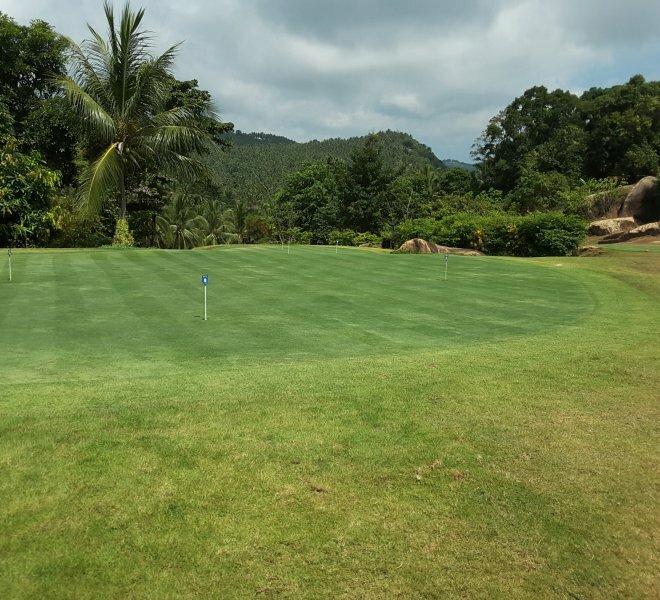 The course is difficult but at the same time entertaining fairways are narrow and not forgiving, you will be penalised for any small margin of error. 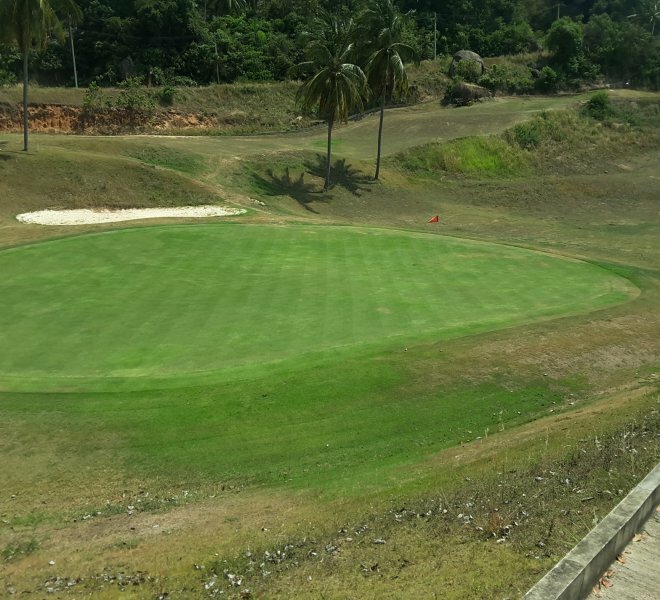 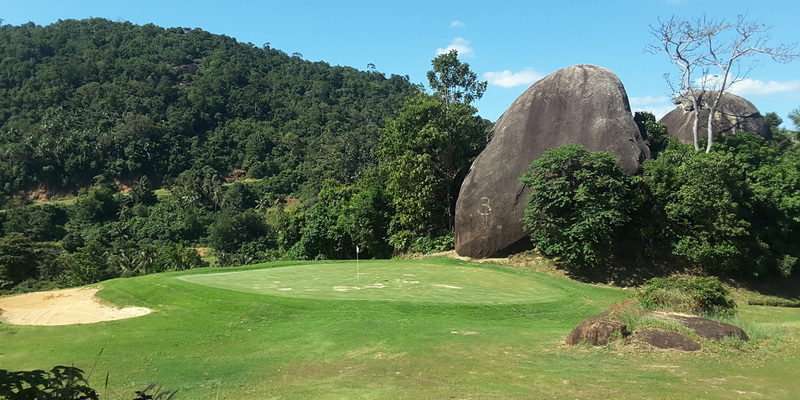 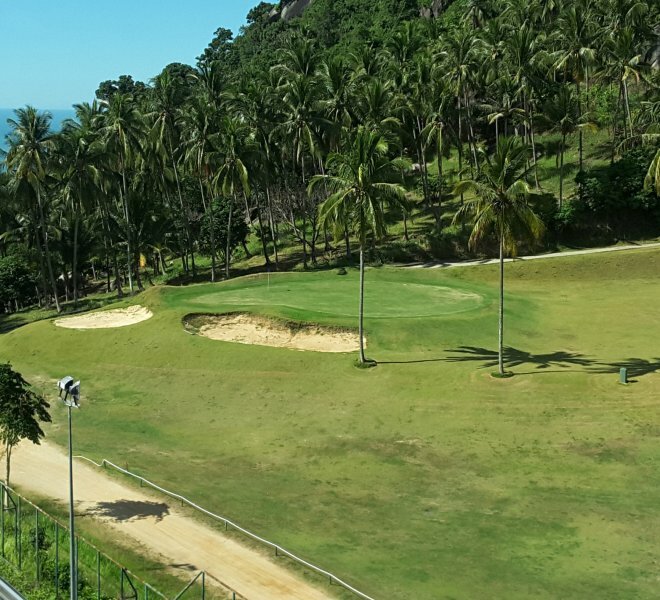 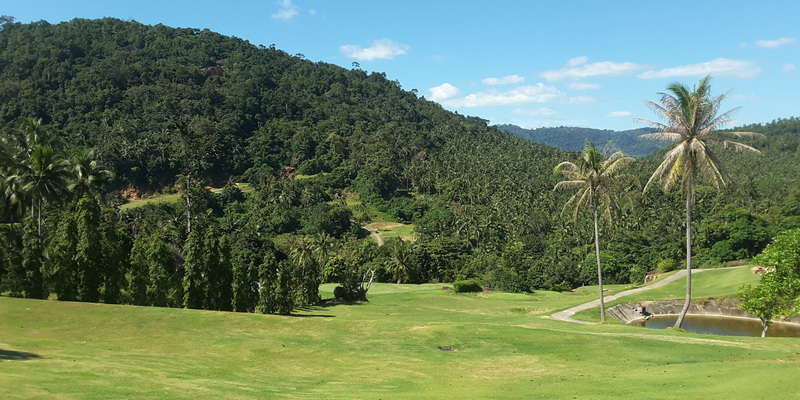 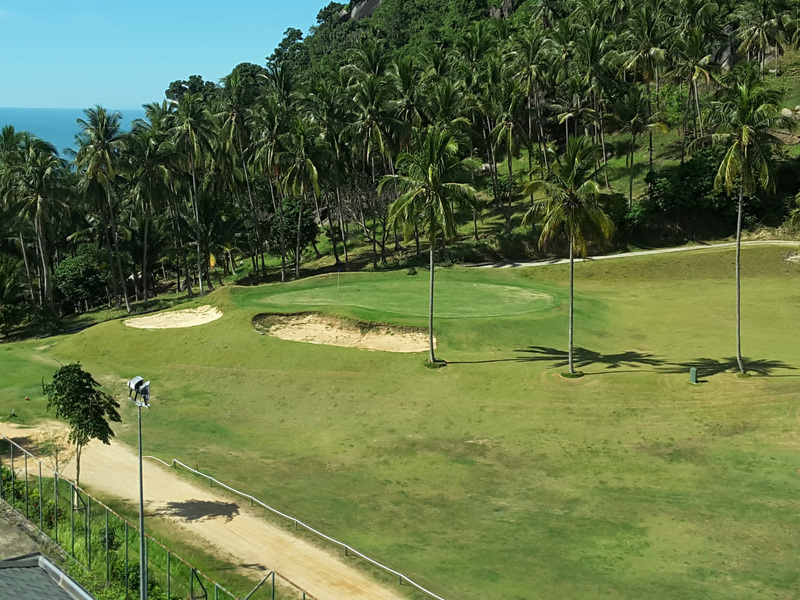 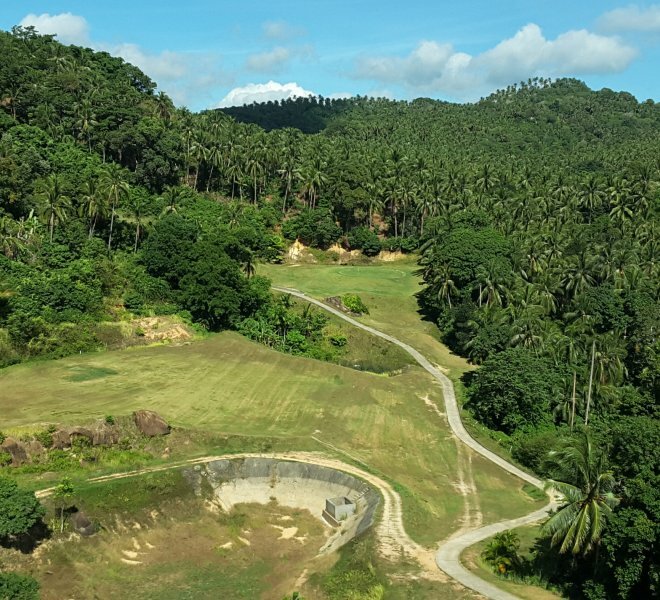 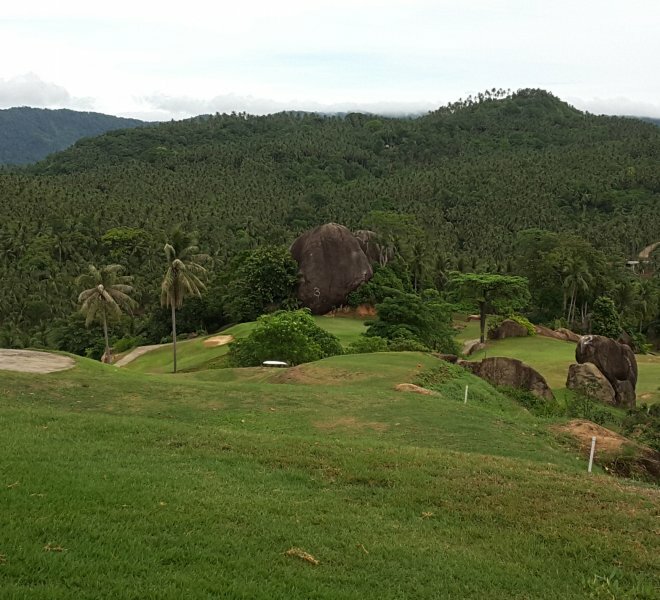 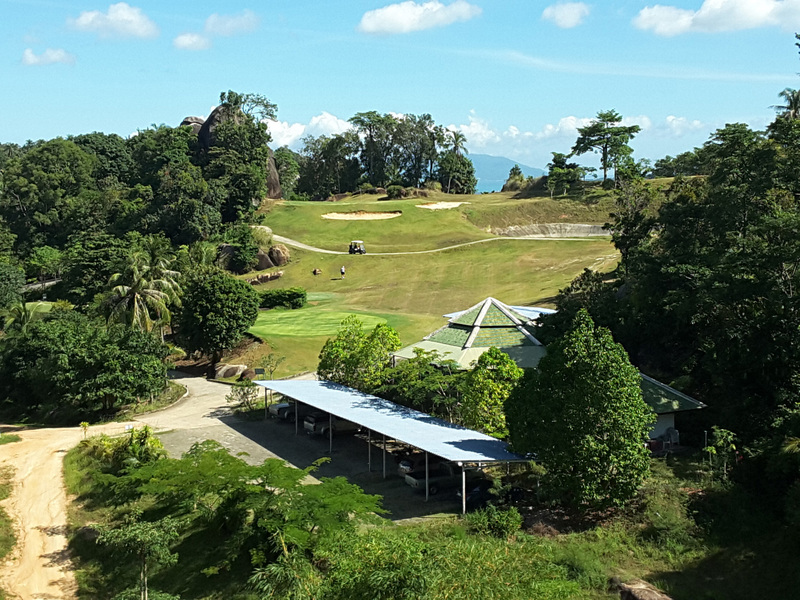 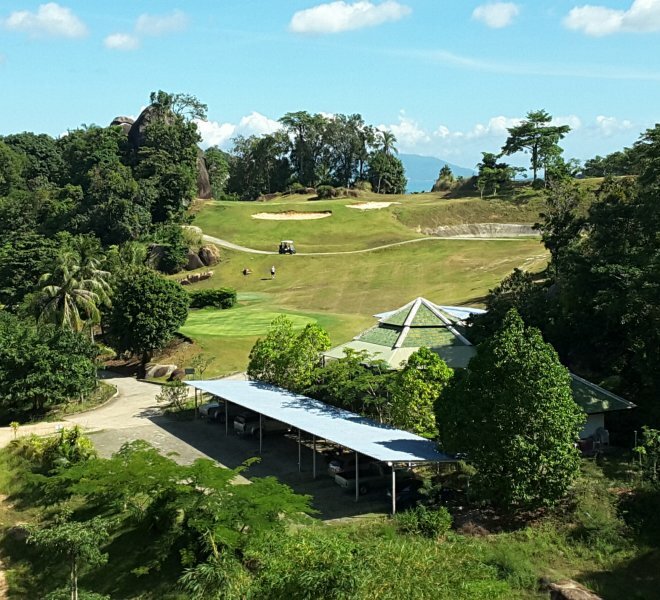 Even at the mountain top you are surrounded by coconut plantations and one of the main features are huge natural boulders dotted around the course. 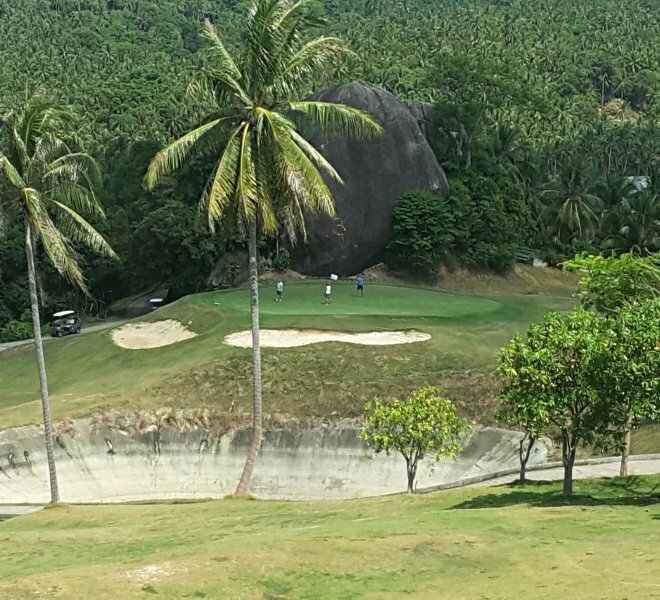 The second hole looks quite intimidating from the tee box you have spectacular views of Chaweng beach, Koh Phangan and on a clear day Koh Tao is clearly seen. 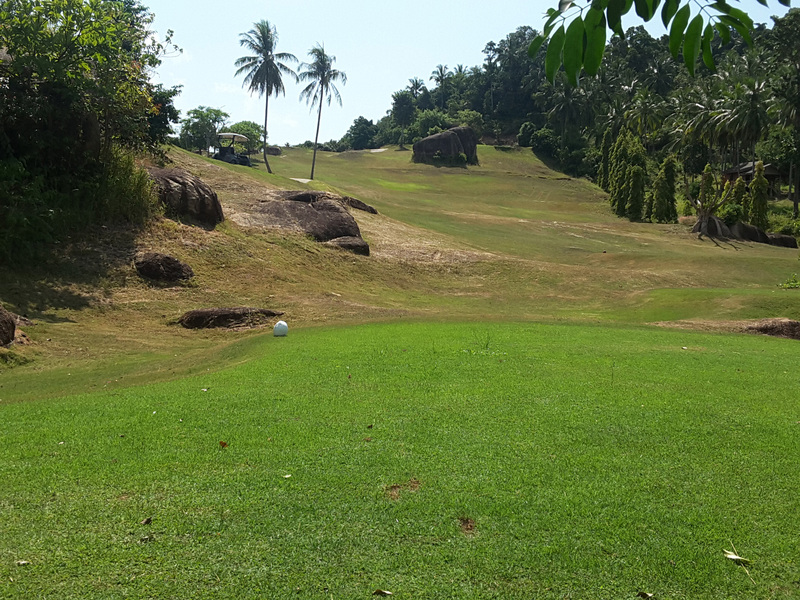 If you hit your tee shot right you will find O.B from the tee box all the way down to the green. 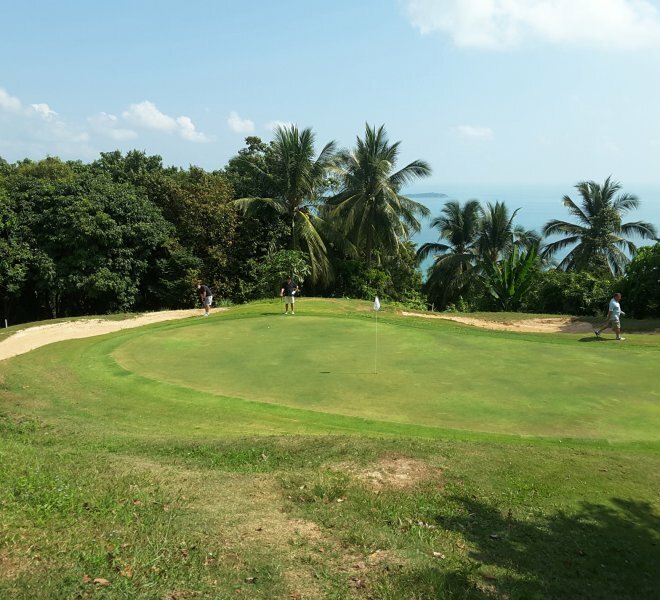 If you guide your tee shot 180 yards left center of the fairway with a kind bounce on the slope you should find your ball slightly short of the green. 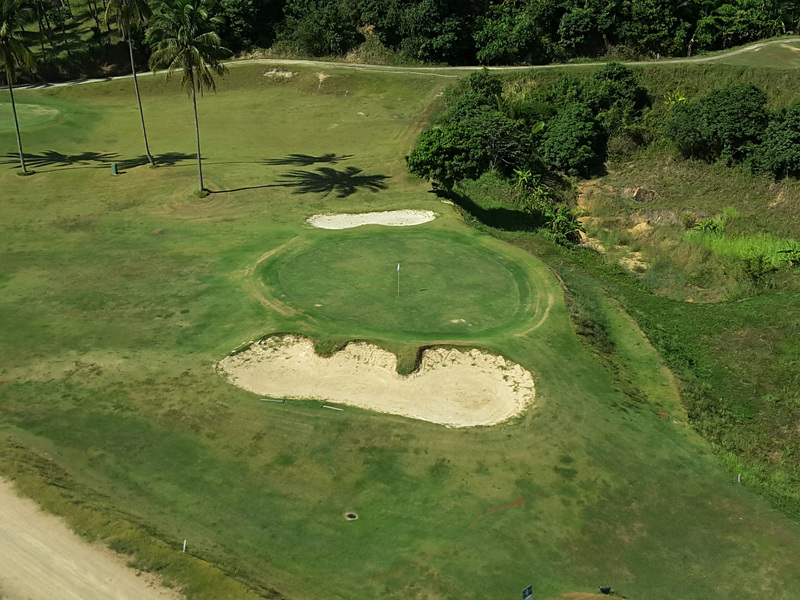 Holes four and Five are similar O.B on both sides of the fairway and ditches 120 yards short of the greens. 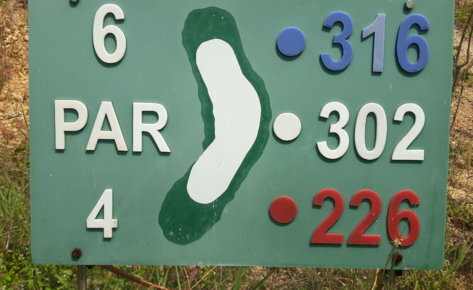 If you are not feeling confident hitting your tee shots 230 yards, then you are advised to play short 150 yards . 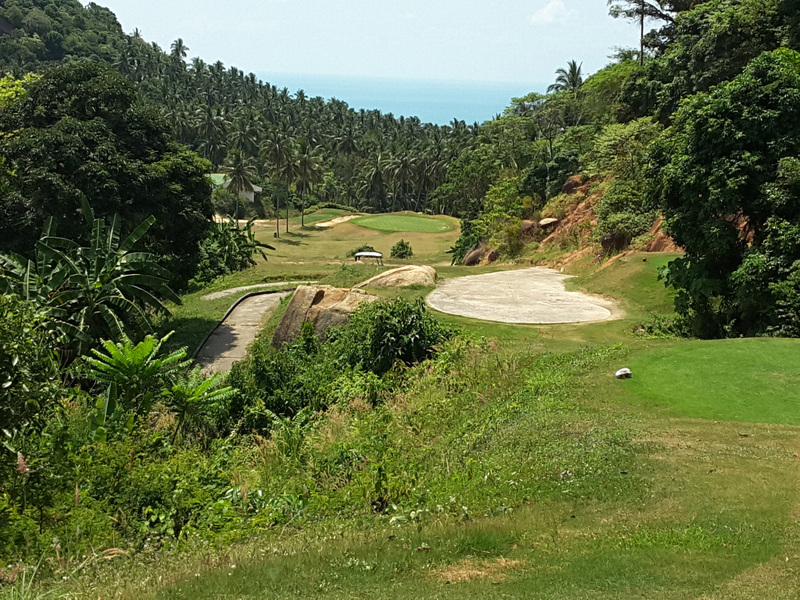 The 2nd 276 yards par 4 is a breathtaking down hill hole; reachable with the driver. 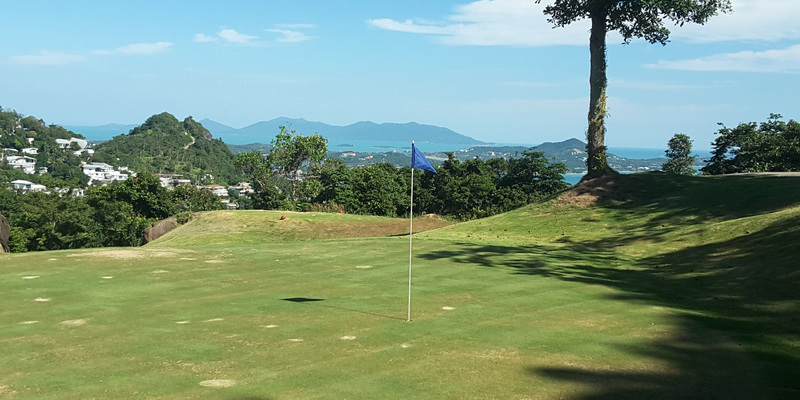 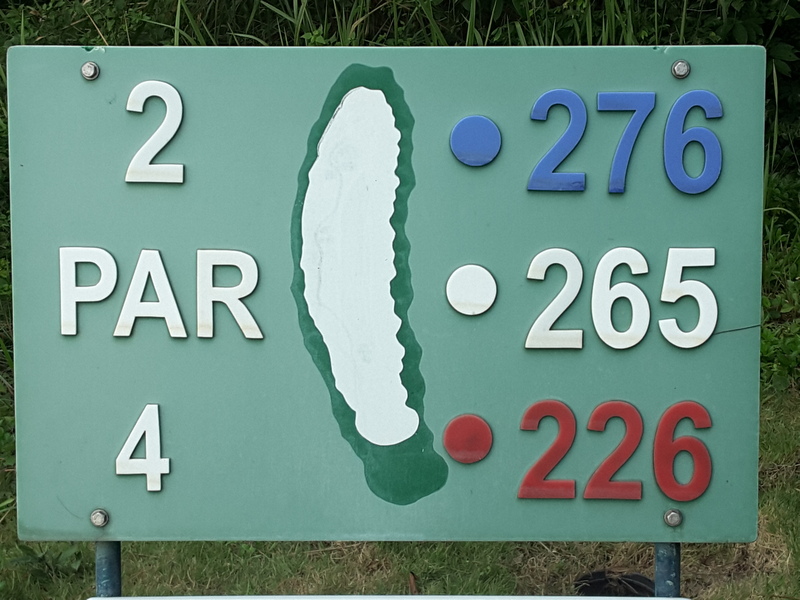 With Chaweng beach as a backdrop and out of bounds right, all the way to the green and behind and strategic bunkers surrounding the small green, the wise player takes a mid to short iron off the tee to the middle of a narrow fairway. 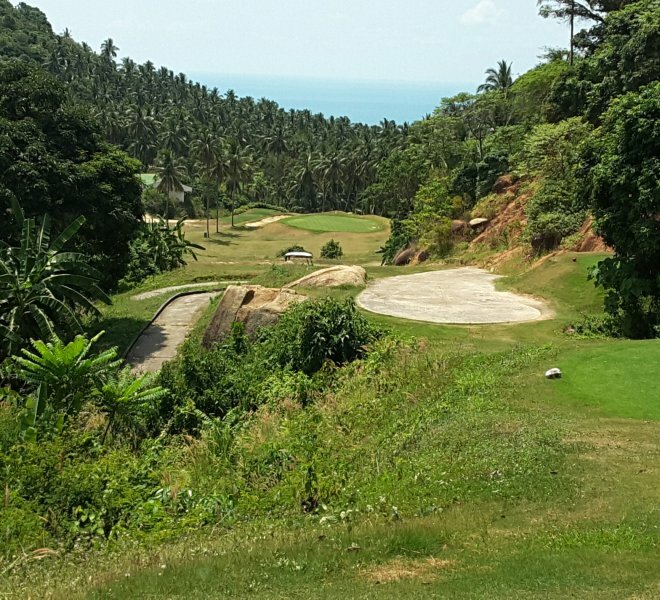 The severe down slope of the fairway will help the ball along, leaving a short wedge to the green, which should be played to the left side as it slopes left to right towards the ocean. 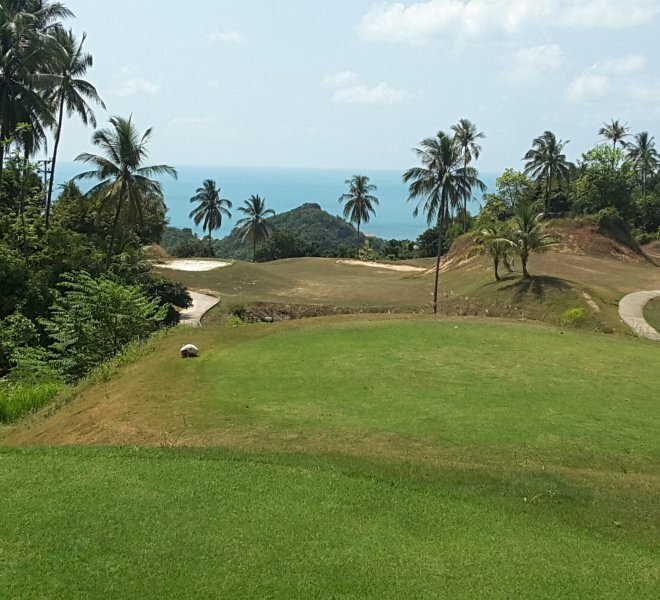 The 5th 329 yards par 4 is another risk-reward hole with magnificent views of both beaches, the clubhouse and the first four holes. 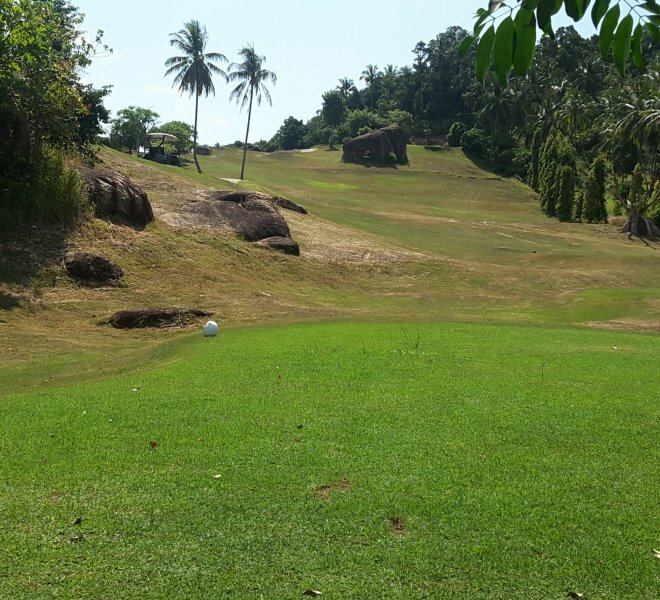 For this down hill par 4, the long hitter using a driver can carry the large water hazard (250 yards) and roll to the front of the green. 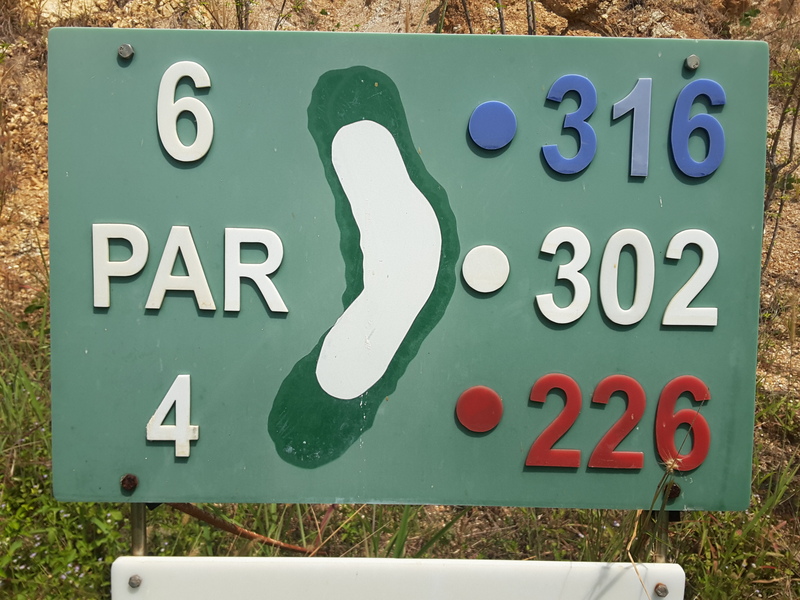 But the sensible thing to do is hit a mid iron to avoid the hazard running down the left and then across the fairway some 230 yards from the tee. 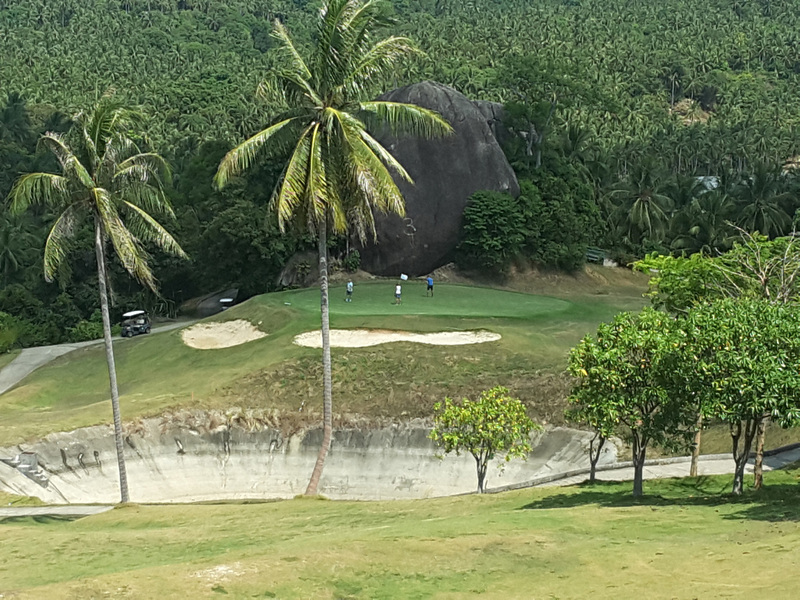 On the right of the fairway a rock wall runs the length of the hole, so hit it straight. 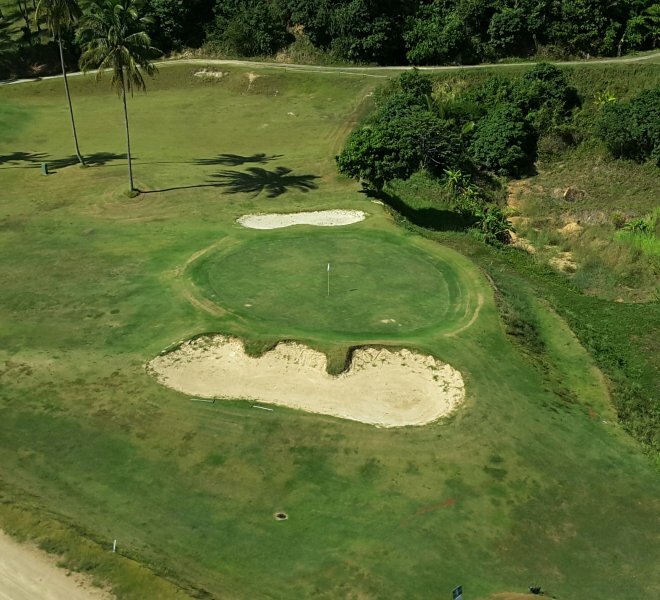 The approach shot will be about 110-150 yards, playing one club less to a large, well contoured green with bunkers on the left and back side. 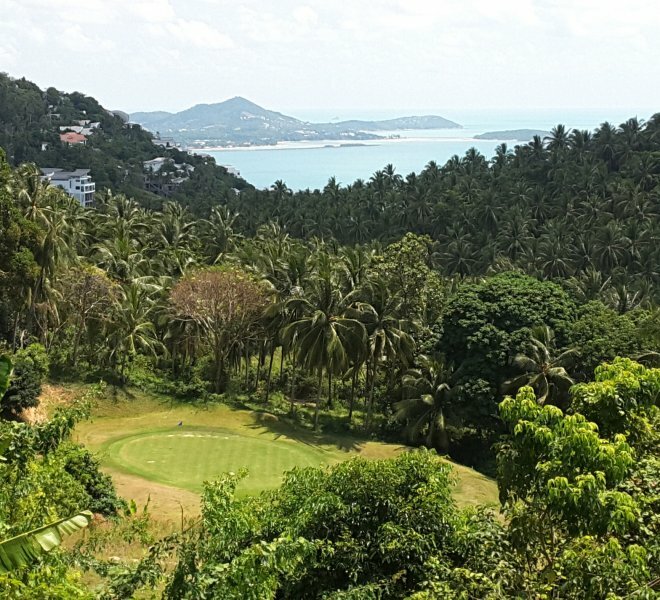 The 8th 312 yards par 4 is not for the faint hearted, but the dramatic view of Lamai beach, the ocean, and the surrounding islands will catch your attention from the tee. 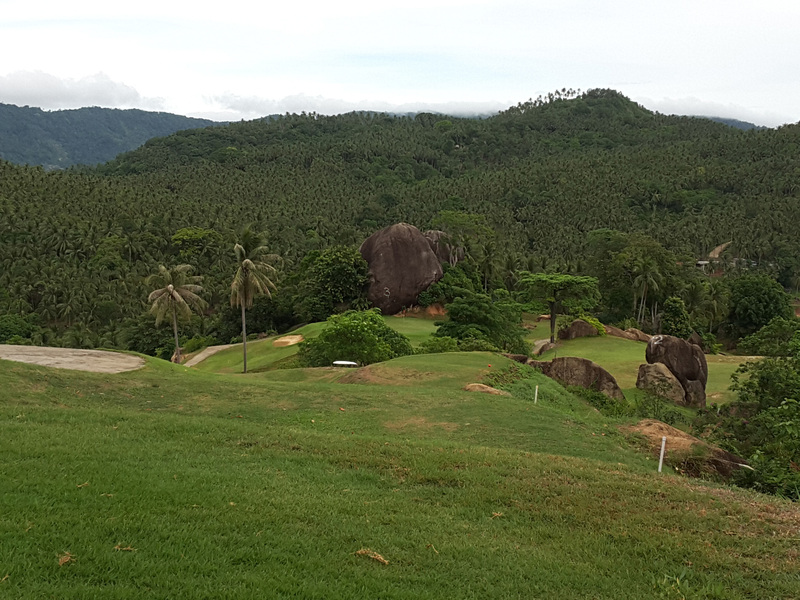 Out of bounds looms down the left side of the fairway and large rock faces run down the right. 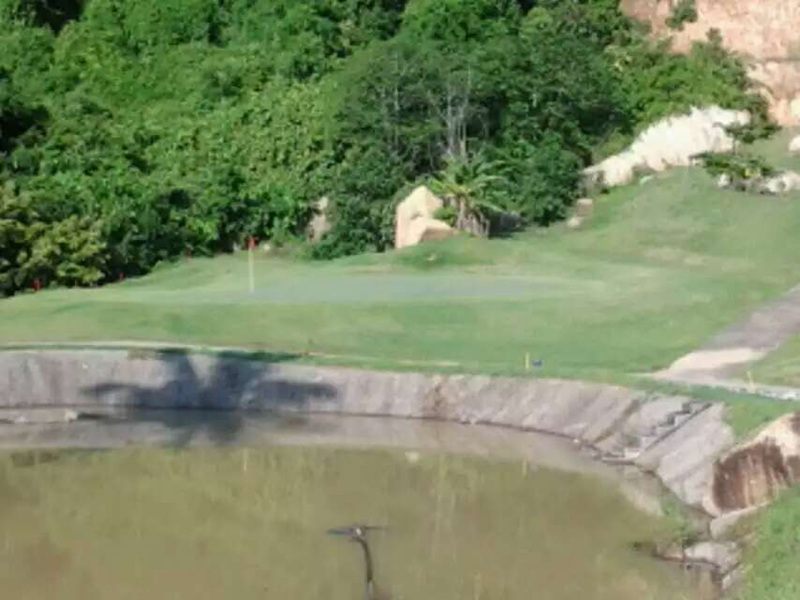 However, an iron off the tee will leave a blind shot into the green, flanked left with a lateral hazard and a pond short right. 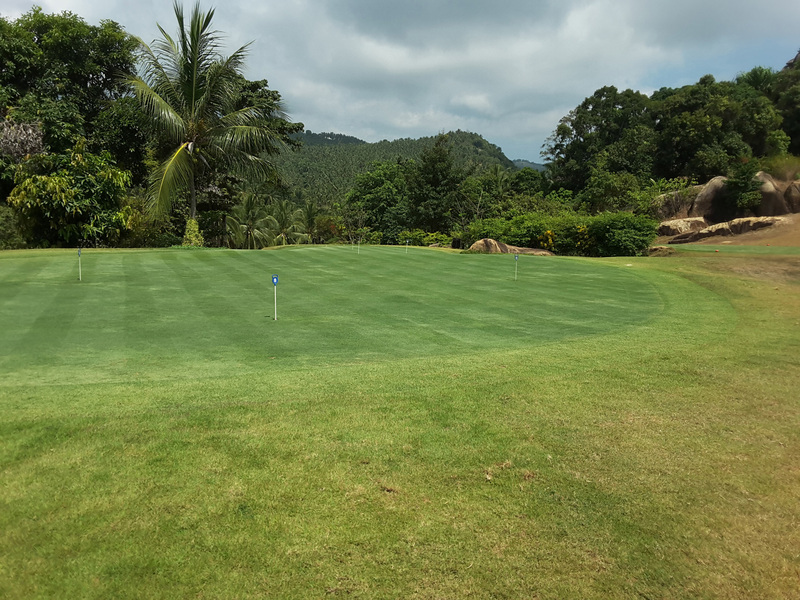 A 230 yards or so hit uphill off the tee with pin point accuracy will get to a small landing area where you can see the green for your short iron approach shot. 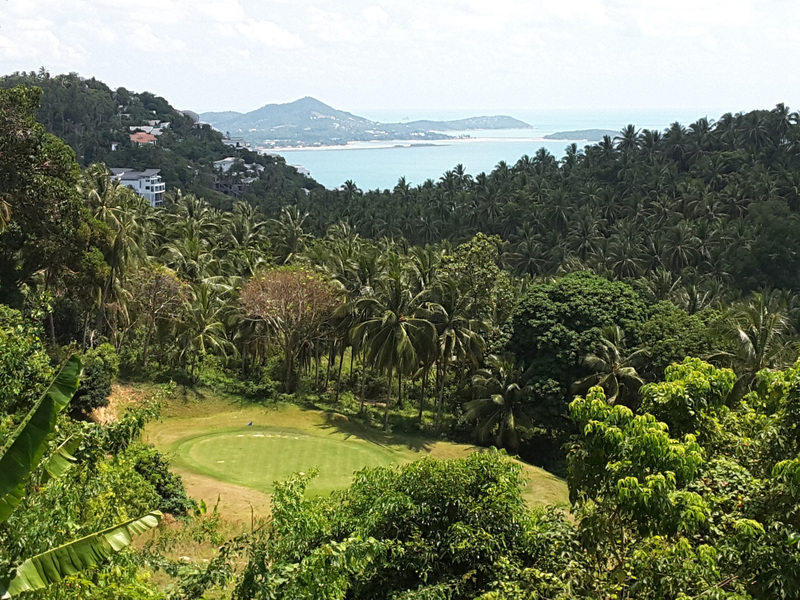 The Royal Samui Golf and Country Club is built on the mountainside of Lamai and Cheweng, the nine hole course offers spectacular views of Lamai, Cheweng and the surrounding islands in the background. 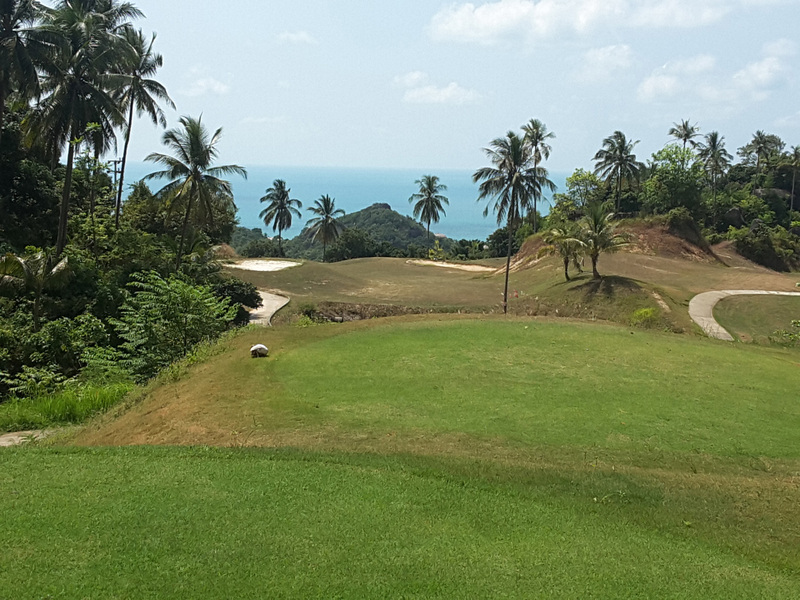 Each hole also offers panoramic views of adjacent and neighboring holes with many breathtaking drops in elevation. 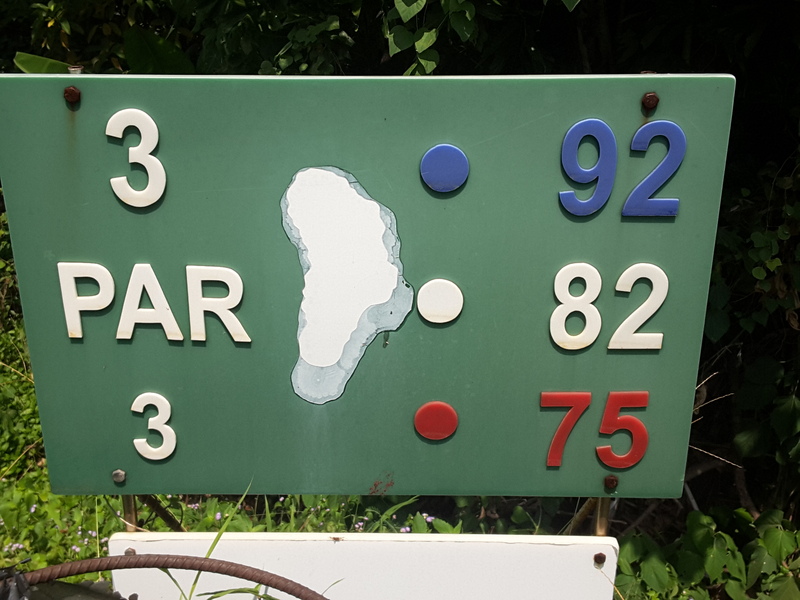 Men: Shirts with collar and sleeves are required, at all time. 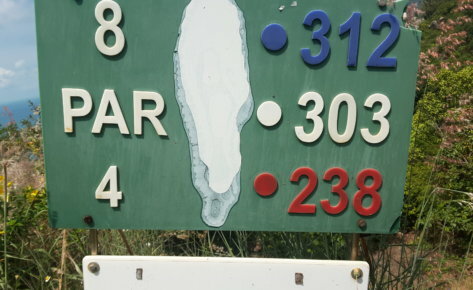 Slacks, golf shorts, or walking shorts are considered appropriate. 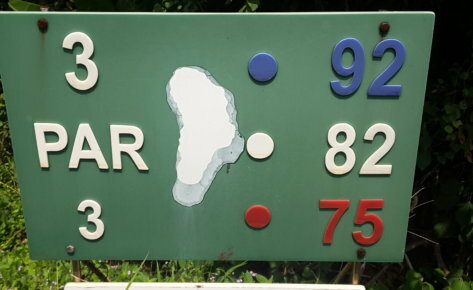 Women: Shirts with collar and sleeves are considered appropriate. 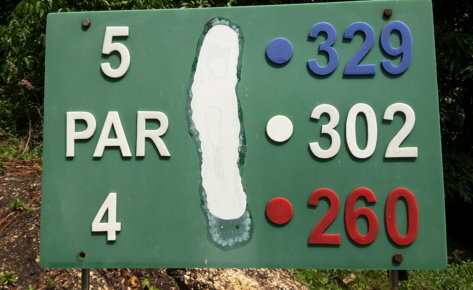 Slack, mid length shorts, or mid length skirt are considered appropriate. 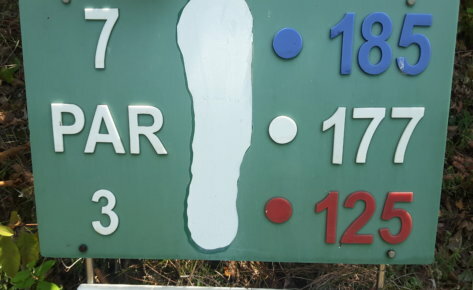 Proper Footwear: Only soft spike or spike less golf shoes, are allowed on the golf course, practice green area, and driving range. 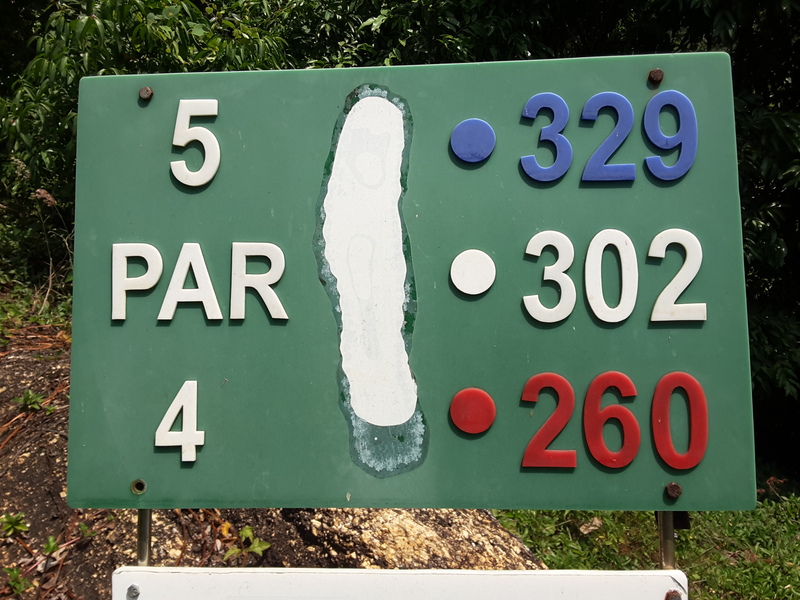 Any footwear that damages the greens is strictly forbidden. 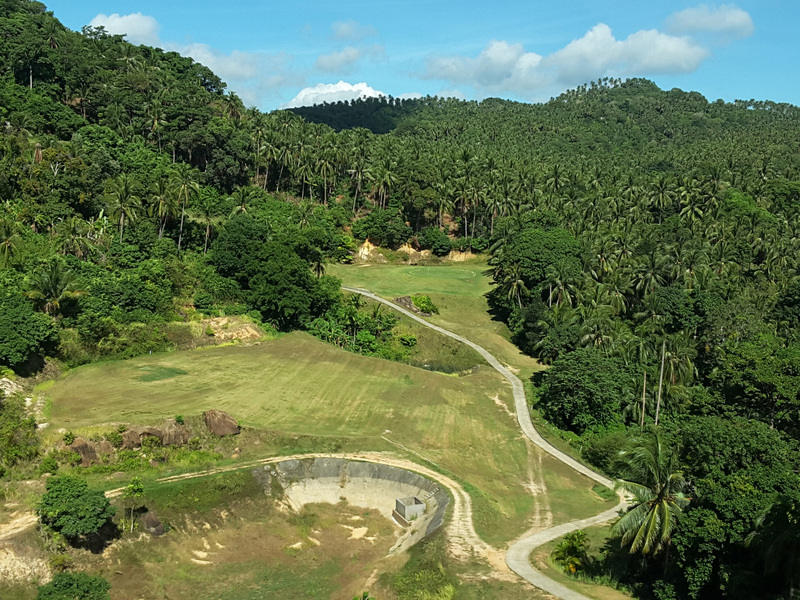 Not Allowed: Tank tops, T-Shirts, fish net tops, halter-tops, bathing suits, sweats, athletic shorts, blue jeans or denim slacks or shorts. 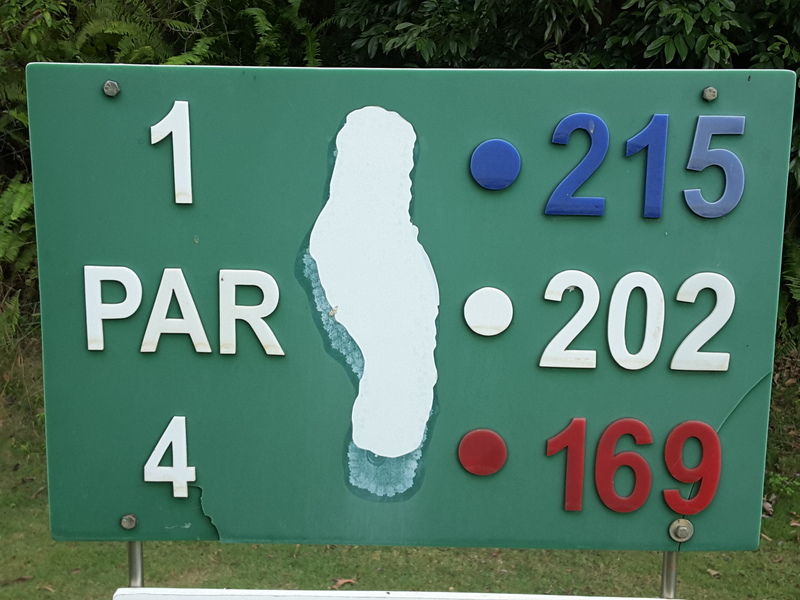 Please make reservations in advance. 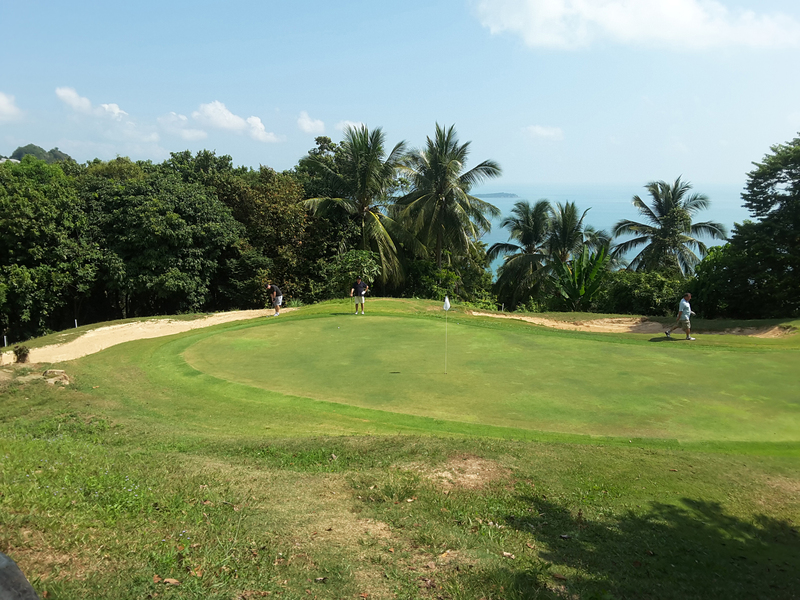 The number of golfers per group including non-golfer is maximum 5 persons per group. 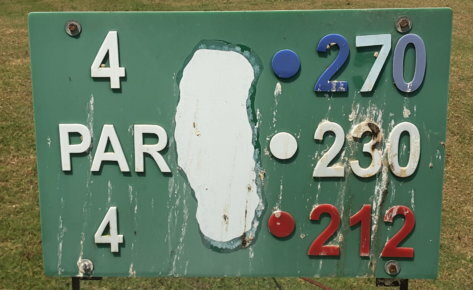 This is subject to change without prior notice. 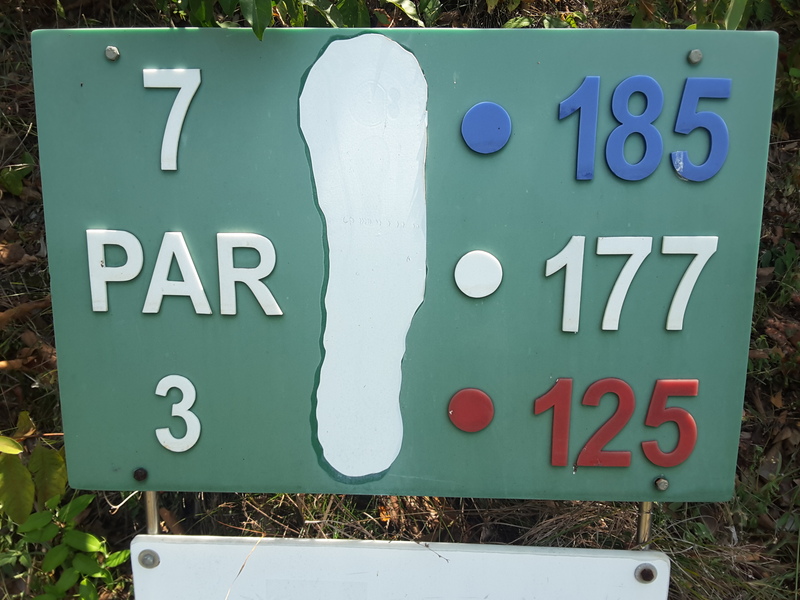 All Golfers must register at the proshop at least 15 minutes before reserved tee off time. 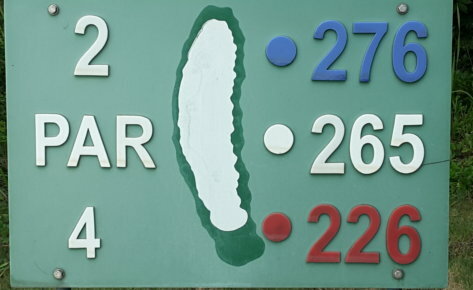 Estimated playing time for 18 holes is 3 hours 50 minutes. 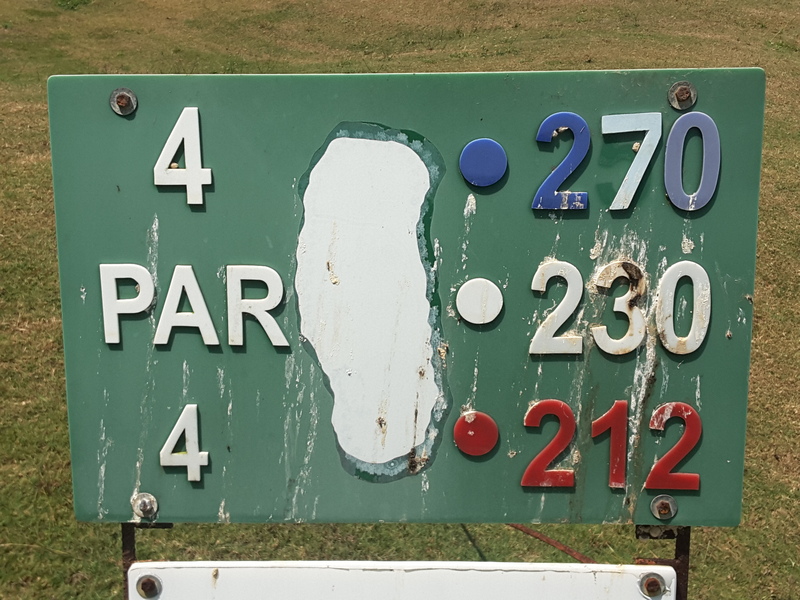 Please be as considerate to the group behind you as you would like the one in front to be you. 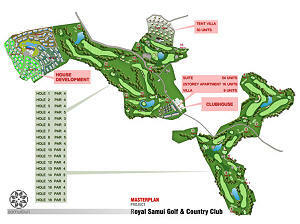 Golf carts are compulsory, 2 persons can share golf cart. 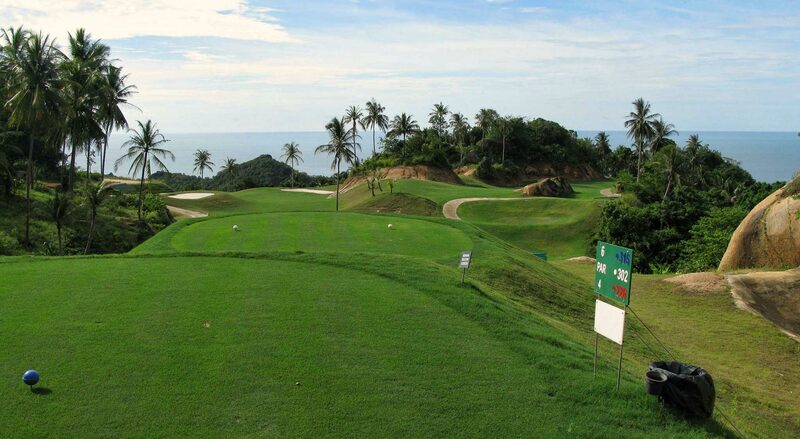 Non-Golfer will be charged, 200 entrance fee + 100 – 200 golf cart. 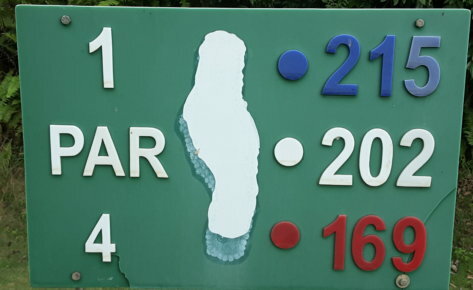 Children under 12 years of age are not allowed on the course. 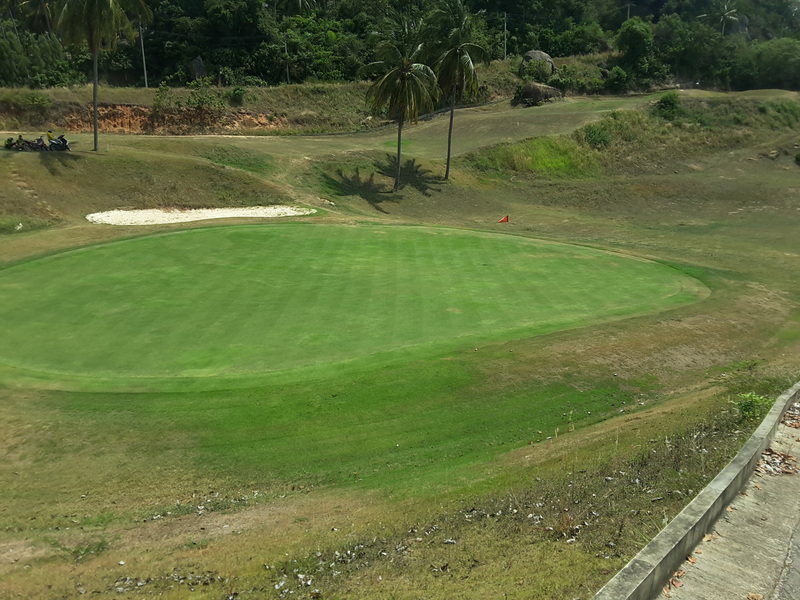 On occasions the golf course may become unplayable because of heavy rain. 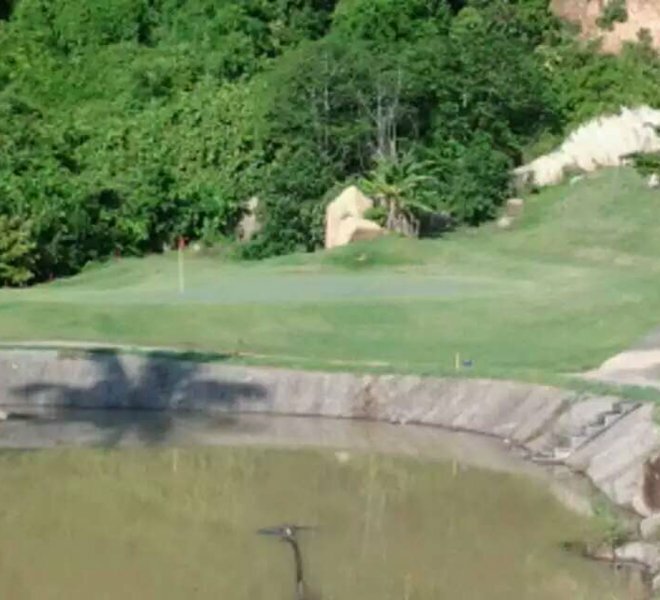 In such unfortunate circumstances you may be not allowed to finish your round of golf. 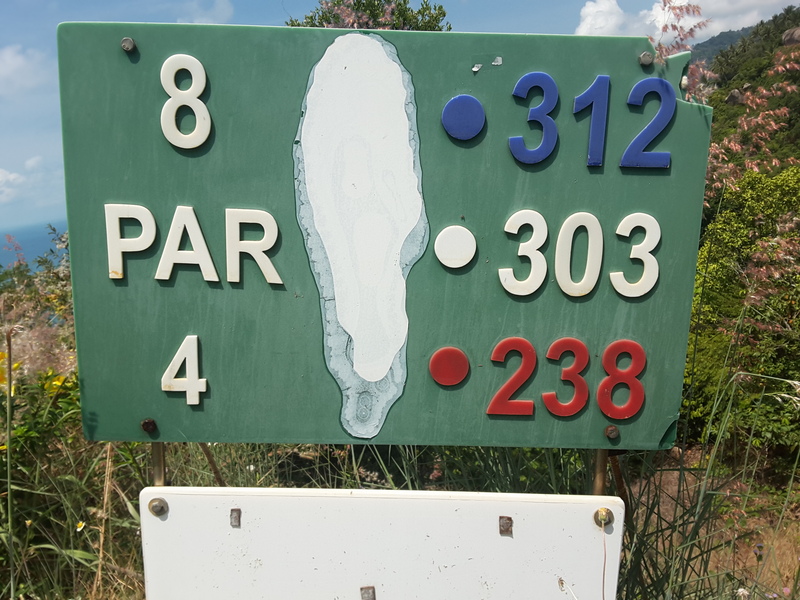 If you cannot continue your round of golf you will be able to continue at a later date. 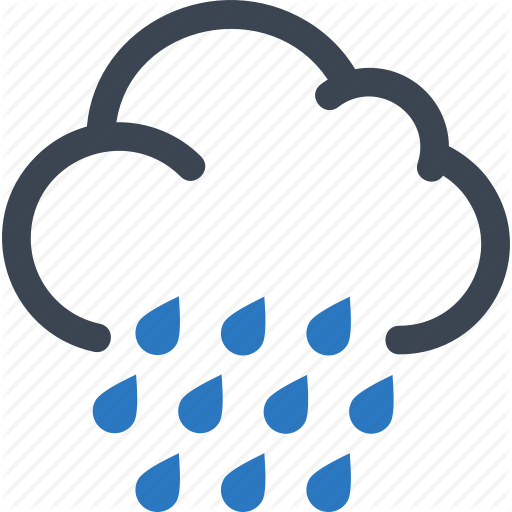 Rain check coupon must be issued on the day of play. 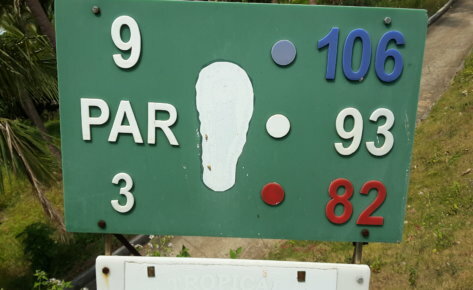 Rain check policy is not applicable for those only playing 9 holes. 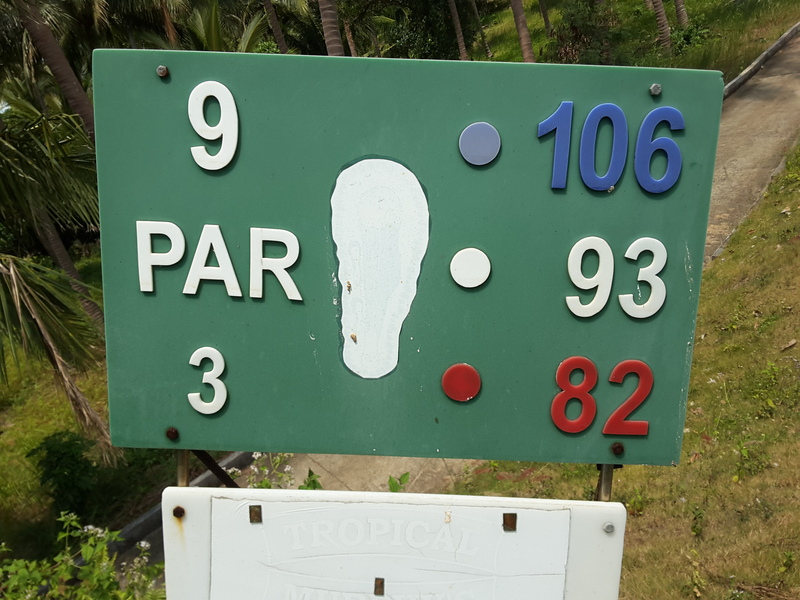 The management shall reserve the right to refuse golfers who do not comply with the club rules.